Social skill and social interaction problems, including social excesses and deficits and failure to understand social situations and expectations, are defining characteristics of High-Functioning Autism Spectrum Disorders (HFASD). Students with HFASD experience significant difficulty interacting with others and forming and maintaining age-appropriate adult and peer relationships; abiding by traditional classroom routines and accepted conduct; and learning and using age-expected personal responsibility and self-management behaviors. These challenges demand that learners with HFASD receive instruction and support in learning and putting into practice age- appropriate social skills. Related to this need this presentation will focus on evidence-based methods that support children and youth with HFASD learning and using appropriate social behaviors in a variety of settings, including school. 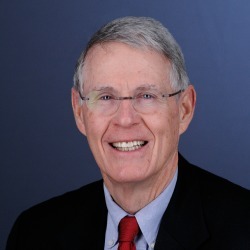 Richard L. Simpson is Professor Emeritus at the University of Kansas. During his 40+ years as a faculty member in the Department of Special Education, he directed numerous University of Kansas and University of Kansas Medical Center demonstration programs for students with autism spectrum disorders and other disabilities and coordinated a variety of federal grant programs related to students with autism spectrum disorders and other disabilities. He also worked as a special education teacher, school psychologist, and coordinator of a community mental health outreach program. He has authored numerous books, articles, and tests on a variety of topics connected to students with disabilities. He is the former senior editor of the professional journal Focus on Autism and Other Developmental Disabilities. Awards include the Council for Exceptional Children Research Award, Midwest Symposium for Leadership in Behavior Disorders Leadership Award, Autism Society of Kansas Leadership Award, Ingram’s Icons of Education Award, and numerous University of Kansas awards and distinguished roles, including the Gene A. Budig Endowed Teaching Professorship of Special Education.